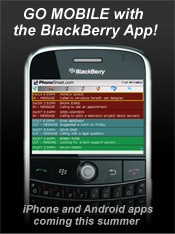 Please add PhoneSheet2Go for my BlackBerry at just $2.95/mo. 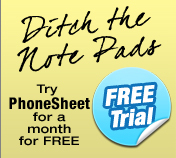 30-Day Free Trial: Try out a PhoneSheet account for 30-days free of charge. At the end of 30 days, you can either cancel your subscription or be automatically rolled over into the Month-to-Month plan. 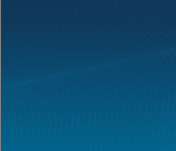 A credit card authorization is required to activate your free trial.